The most popular rimfire calibers include .22 Long Rifle (LR), .22 Winchester Magnum Rifle (WMR), and .17 Hornady Magnum Rimfire (HMR). Less popular rimfire cartridges include .22 Short and .22 Long (not to be confused with .22 Long Rifle). Rimfire has near zero recoil, is easy to carry, and with modern ammunition from reputable companies, is very reliable. 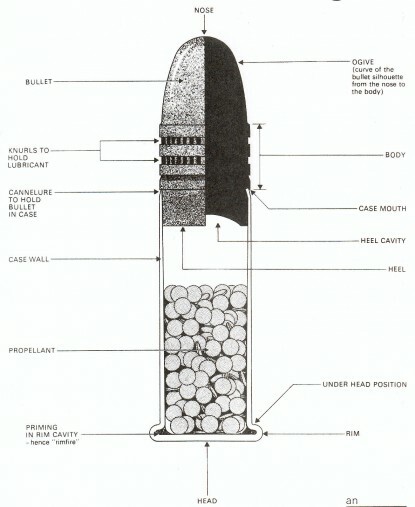 As illustrated below, “centerfire” cartridges gain their name from the process of the firing pin of the weapon striking a primer cap located in the center or the rear of the cartridge. Rather than a primer cap located in the center of the rear of the cartridge, the entire bottom of the inside of a rimfire casing is lined with a strike sensitive primer, and rather than the weapon’s firing pin striking the center of the cartridge, it can hit anywhere on the rim and ignite the cartridge’s propellant. A sleeve of 100 rounds of CCI brand .22LR ammunition weighs less than a loaded 30-round AR-15 magazine. .22LR is more than adequate for close-range hunting. High or hyper velocity ammunition fired from a pistol length barrel provides enough knockdown power for commonly found small and medium size mammals. If employing a .22LR pistol or revolver for survival/hunting, it is recommended that you use high-velocity round-nose ammunition. A .22LR bullet fired from a short barrel may not have enough velocity to push open a hollow-point. 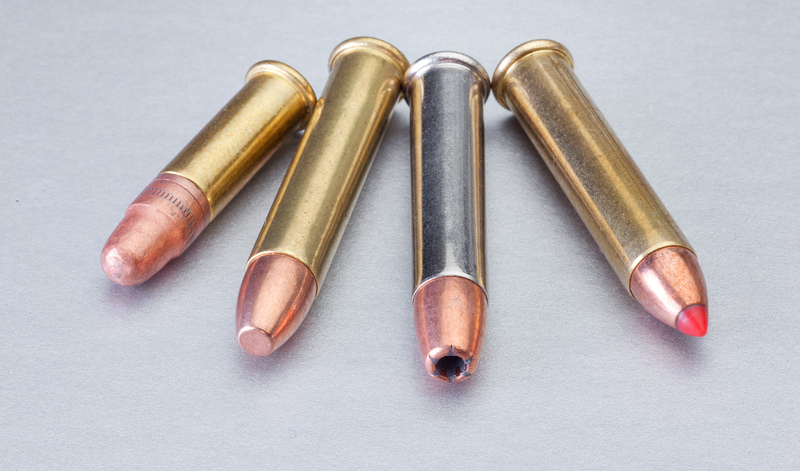 Since you probably won’t be able to effectively use a hollow-point bullet with a .22LR pistol or revolver to create a wider wound channel, it is better to use high-velocity round-nose ammunition and go for wound depth and deeper penetration into vital organs. If employing a .22LR rifle for hunting or self-defense, use hollow-point ammunition. As the hollow projectile forces its way through soft tissue, the hydrodynamic forces inside the bullet’s cavity will cause the bullet to expand to a greater size. The now larger projectile produces a larger wound channel, and due to its larger size and increased drag, transfers all of its energy in the target and hopefully won’t exit the target. The .22 WMR is also commonly referred to as “22 Magnum”, or “22 Mag”. Shown above is a .22LR round for size comparison, and three .22 Winchester Magnum Rimfire (WMR) rounds. The far left .22 WMR round is ball, or full metal jacket round. 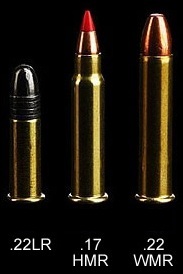 The middle round is a Speer Gold Dot jacketed hollow-point, and the far right is a Hornady V-Max ballistic tip. .22 WMR has significantly more power and range than the .22LR and is a serious small game hunting round. There are numerous bolt action rifle, a few semi-automatic rifles, several revolvers, and at least one type of semi-automatic pistol chambered for the .22 WMR. .22 WMR can not be very effectively suppressed as all load offerings are supersonic. You may be able to suppress the report from the firearm, but there will be a very loud crack as the bullet breaks the sound barrier. While you may find that .22LR will fit into the action of some bolt action rifles and even fire, the rifling of the barrel is radically different than what is intended for .22LR. When fired you will get radical inaccuracies, even at close range. You will even see bullets keyhole (hit the target sideways) at close range. If the firearm says .22 WMR on the barrel or action, then it is not appropriate to shoot .22LR from it. 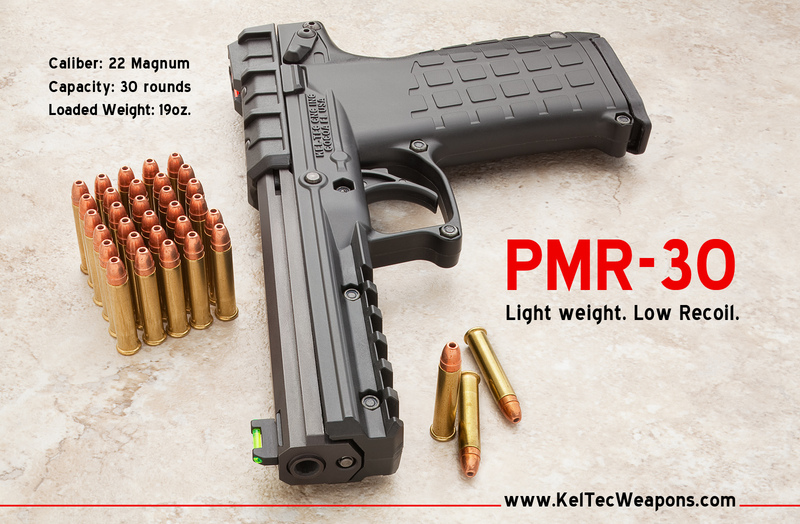 The Kel-Tech PRM-30, seen below, is an example of a .22 Magnum pistol. It holds 30-rounds in each magazine! That is a whole lot of survival fire power. There are mixed reviews on these pistols. Do your homework before you go out an purchase one. Any personal reviews are appreciated here. Check out Savannah Arsenal’s PMR-30 page. .17 Hornady Magnum Rimfire (4.5×27mmR), commonly known as the 17 HMR, is a rimfire rifle cartridge developed by the ammunition company Hornady in 2002. It descended from the .22 Magnum by necking down the .22 Magnum case to take a .17 caliber (4.5 mm) projectile.